A colourful home doesn't need to be overwhelming and erratic, adding colour throughout your home can instead be a fun DIY decor project. 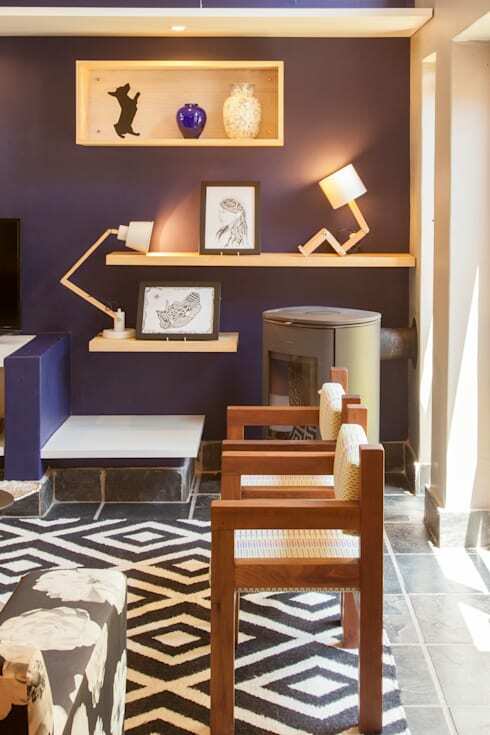 In this homify feature, we look at 9 absolutely cool and creative ideas to add some vibrant detail to your modern home, whether it be the kitchen, living room or even bedroom, our team of professionals included something eye-catching and easy to copy, just for you. 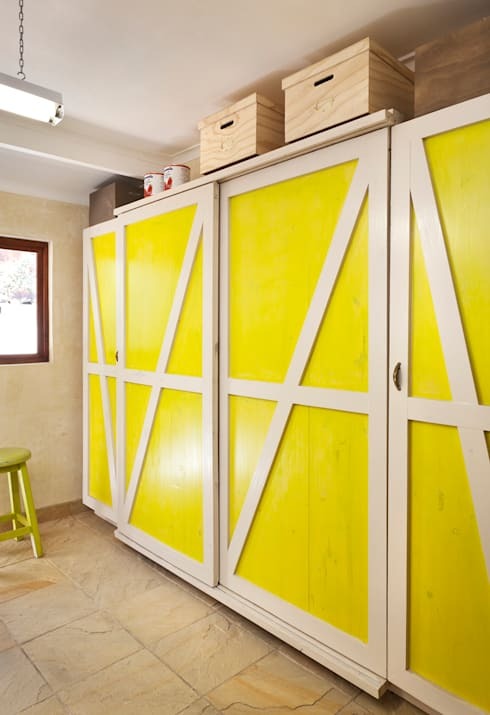 If you like to be daring and different, then these barnyard doors may make an awesome choice to store your kitchen essentials. Don't mind the bright yellow… it's part of the charm. This lovely home office is now sleek, chic and stylish. 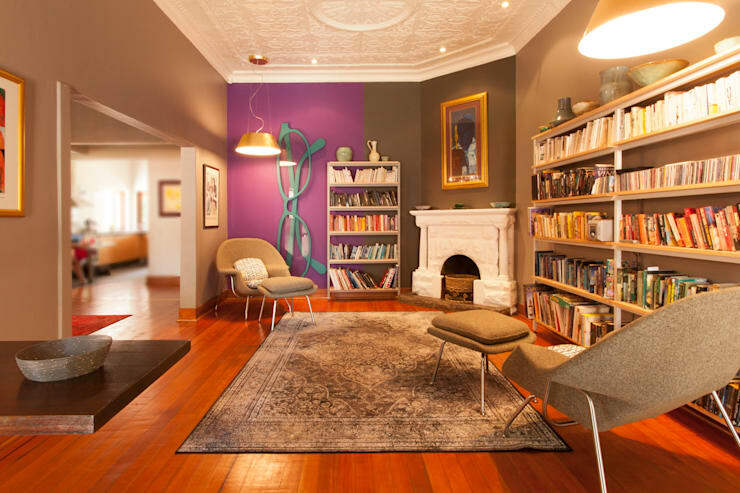 Opt for one vibrant wall colour and instantly upgrade your interior with eclectic character. 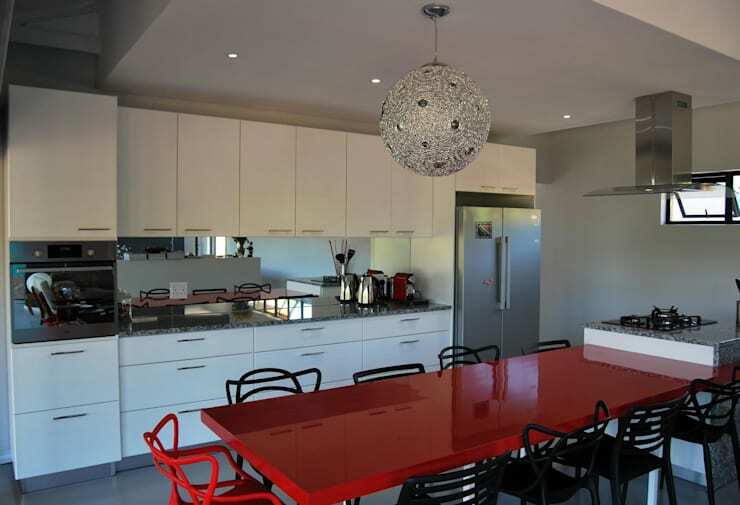 An all-white kitchen will look interesting with a red dining table and some eclectic chairs, add a sensational hanging light to complete the detail. A monochrome rug, bright purple focal wall and angular illumination ensure that this living room is always striking and different. 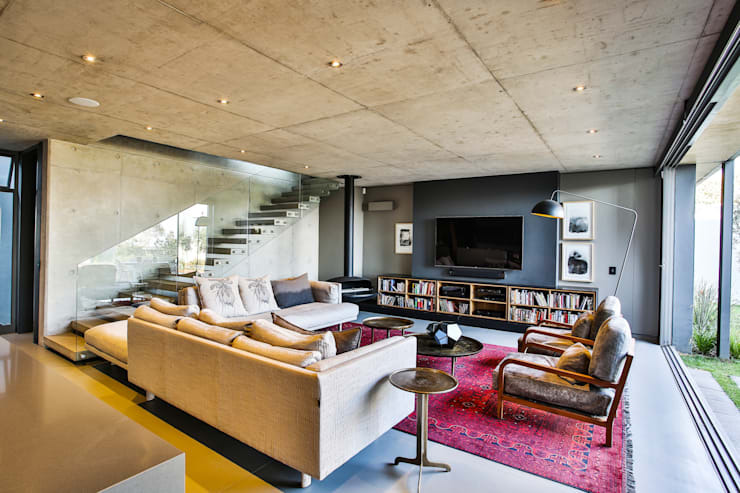 It's amazing how the simple choice of rug can upgrade your living room from industrial and cold, to warm and inviting. 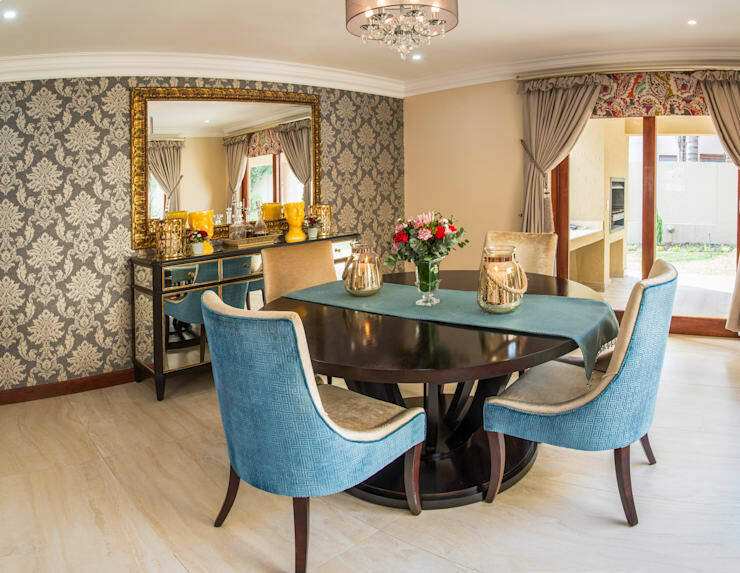 A dining room with a luxurious theme and blue decor is essential for a modern homeowner who enjoys an elegant layout, plenty of light and of course a touch of sophistication. 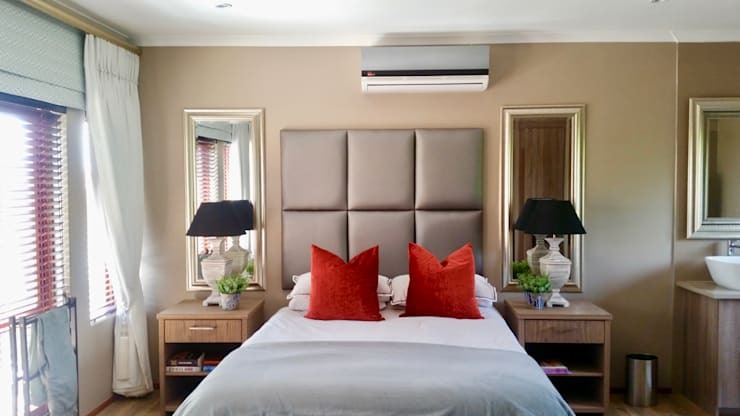 Although this bedroom design may be neutral and contemporary, the orange scatter cushions add just enough colour for aesthetics and charm. Or go full on fascinating with shades of neon and floral effects. 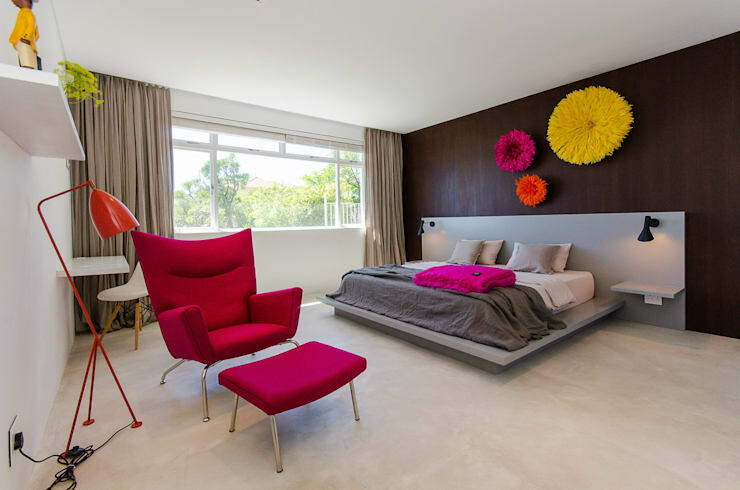 What do you think about this eclectic seat for your bedroom? Did you add colour into your home? Which room and how?